Want to create an offer page for your one click upsells? You’re at the right place. In this post, we will discuss the anatomy of a perfect upsell offer page. 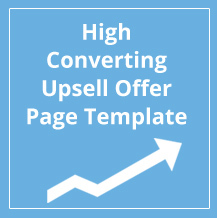 And we’ll also look at some high-converting upsell offer pages used by other marketers. By the end of it, you’ll not only have a clear understanding of what to say on this page but will also be able to decode the psychology behind each component. The one click upsell offer page is the page that your customers see right after the hit ‘place order’ on the checkout page and just before they see the order receipt on the thank you page. This means just before they exit your store after placing an order, you present them with a highly relevant and time-bound offer that complements their main purchase. You’ve got to make sure that your offer page looks credible and presents the offer clearly and succinctly. Let’s explore the building blocks of the offer page and why you need each of them. Of course all the building blocks are optional- so you can always turn off the ones you think you don’t need. But each element has been coded for a reason. We studied and analyzed several offer pages to zero in on the most critical sections of this page. Put up a sticky urgency bar with the countdown timer (at the top or bottom of your page) to let buyers know that the offer will expire shortly. People are wired to respond better to time-limited offers than to ones that are forever available. Use power phrases like ‘Act Fast’, ‘Hurry!’, ‘Time’s running out’, ‘Before timer strikes zero’, ‘Last Chance’, ‘Never Again’, to induce a sense of urgency. Why you need it: People always need a credible reason to take fast action. You can set the page to expire after a set time to make the offer more desirable. The progress bar is a very important component of the one-click upsell offer page. It gives people a sense that the task is not complete yet, making them want to complete the steps. You can call your upsell page ‘Special Offer’ or ‘Optional Upgrades’ or ‘Customize Your Purchase’. Why you need it – The progress bar makes sure that they won’t feel lost on the page but will be in control of the experience. 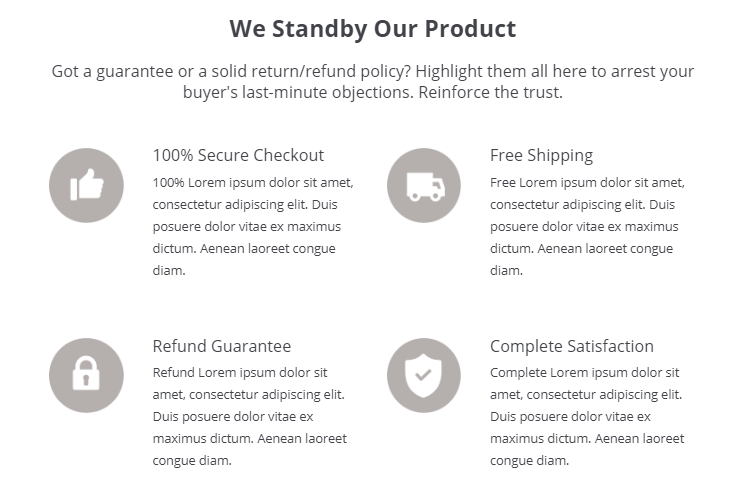 After the checkout page, your buyers are expecting to see the thank you page, so interrupt their line of thought with the pattern interrupt section. Since you’re presenting a new offer on the upsell page, make sure you grab their attention by letting them know what they’re seeing on their screens. Personalize this section: Call them out, thank them and invite them to explore this new offer. Why you need it – You need it to position a new offer in their minds. This section makes them quickly comfortable with this intermediary page between the checkout and the thank you page. You can present this section in a traditional eCommerce style format – with the product image on the left and the product description on the right. Or product image at the top followed by the description and other details with the buy button. You may replace this section completely with the video section. So use the video sales letter to pitch the offer and convince them about the deal. Why you need it – This of course is the most critical element of your page. It takes up the most prominent real estate on it. Create a special product image highlighting the offer details including their savings. Use this section to explain the product better. Highlight the features, advantages and the benefits. If you’re upselling a volume deal – they’re already convinced about the product. So you can use this section to convince them about the need for the bulk deal and why they should stock up! What makes this offer worth considering? What’s the cost of not acting now? Why you need it: A clear features + benefit section helps convince people why they need the product and what they’ll miss out on without it. Keep this section succinct and clear. Add an element of credibility to the offer with product reviews. Why you need it: People trust their peers more than they trust pitches. So even if this is an upsell offer page and you think people already trust you- you still need reviews to seal the deal. This is especially true if you’re upselling a new product here. Got a replacement warranty or refund guarantee? Highlight it here to let people know that their money is in safe hands. Reassure them. Arrest their unspoken and deep-seated fears. Why you need it: This section helps allay fears and allows them to say yes to the offer without letting any fears hold them back. Decline Button – Directs them to the next offer (downsell) in the funnel. Or if there’s no offer, it takes them to the Thank You page. Click Trigger (Text below the CTA button) – The click trigger is the text right below the Call to Action button. The purpose of this text is to arrest any last-minute objection that they may have to clicking. Security Icons – The security icons could be about McAfee, Norton, Visa Verified or Payment icons. These are just to address their fears around clicking the yes button. We looked and analyzed several one click upsell offer pages. We studied their structure and reverse engineered them. Some upsell pages were long, others were short. Clearly, there’s no one size fits all. You make a sales argument as long as you think you need to do justice to the offer. They never took the buyers’ attention for granted. Yes, a buyer’s attention is at its peak on this page because he’s just submitted his payment details and is awaiting a confirmation but also please understand, he’s not expecting an offer page to show up! So your upsell offer page must be carefully engineered from top to bottom to get a yes out of him. Even though he trusts you, doesn’t mean he’ll buy the upsells too – the way you present your offer holds the master key to conversions. This upsell offer page is for a camping knife and the main product that’s sold upfront is fire starter kit. The upsell offer perfectly complements the main purchase because it’s another survival gear that its buyers will need when they go camping. Notice the progress bar at the top – this upsell page is called the ‘knife update’ page. This section is followed by the video section which features a 2-minute demo video of the product. There’s nothing more powerful that seeing the product in action. There’s also the product description section where all the product features and benefits have been explained through a conversational FAQ section. At the end, there’s the guarantee section for risk reversal that overcomes all their last-minute objections to saying yes. The upsell page is very well laid out with a clear emphasis on the offer – and what they get with the purchase. In the offer description section, he makes a solid case for the upsell by positioning it as a perfect complement to the main product. The main product in this case being the 60 day Keto program – and the 180 day program is the obvious next step. 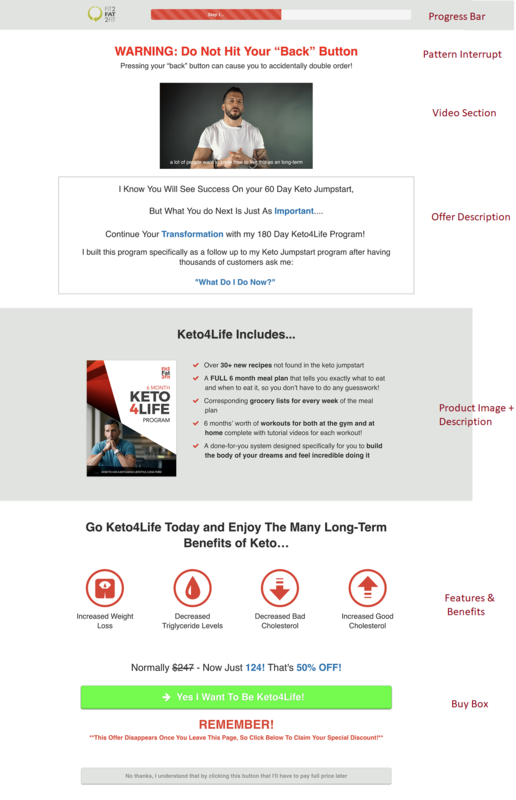 Notice how he says ‘I built this program as a follow up to my 60-day Keto jumpstart….’ – hence clearing all possible doubts that they have about the relationship of the upsell and the main order. Also notice the features and benefits section – the icons depict the features incredibly well. Finally below the buy block- there’s a click trigger – the intent of which is to make people click by overcoming their last-minute objection. It induces a sense of urgency and scarcity. In this video, I’ve used UpStroke One Click Upsells to set up a high-converting upsell offer page in WooCommerce. Follow along to see how an offer page is built from scratch. It’s incredibly fast and easy. And that’s primarily because the moment you pick the product to upsell – it’s images, description and reviews get automatically pulled up to be shown here. 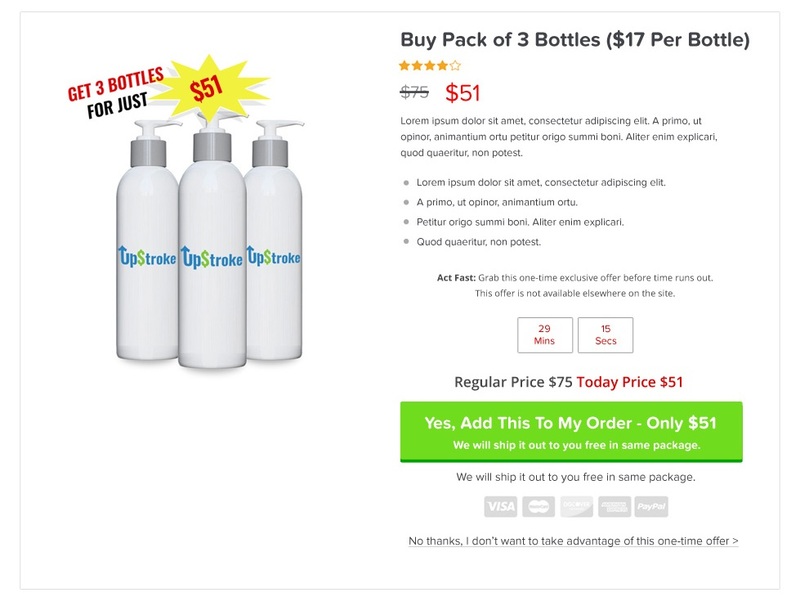 Your upsell offer page holds the key to conversions. Clearly communicating the offer is important. Having said that, the Customizer in UpStroke will help you build up a stellar upsell page in minutes from ground up. And this will be faster than using any page builders. But if you do use an external page builder, you can embed the shortcodes too! Explore how UpStroke One-Click Upsells can help here.